I have been blessed on several occasions to work with this sorority at East Carolina University in Greenville, North Carolina. These young ladies (and the young man) have been together for four years and as the time nears to go their separate ways in life, they wanted some senior images to document the memories. It is always fun to work with a group of seniors, and these ladies were no different! 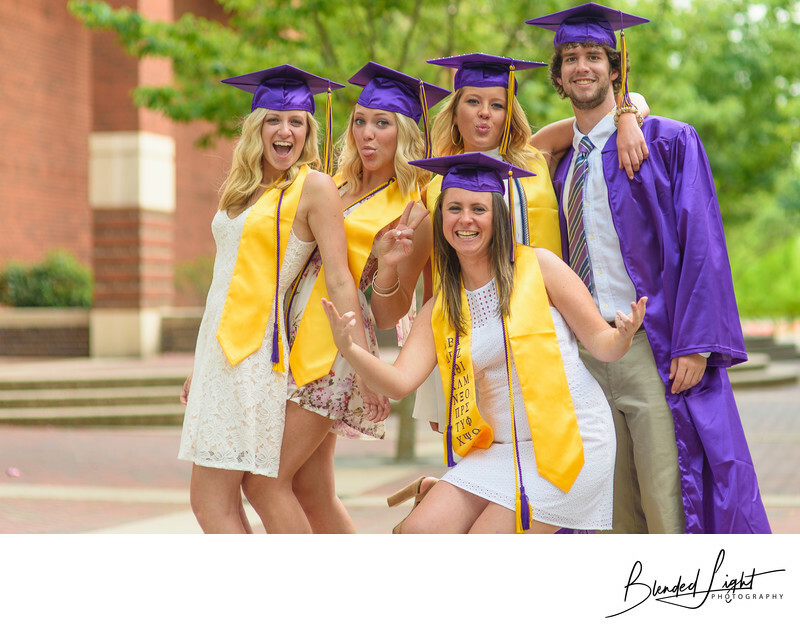 In addition to doing individual shots, I love to bring the group together and let them loose and have a little fun. Here, in front of the Joyner Library entrance on a gorgeous Saturday morning, I got the group together and told them to be themselves - and the fun ensued! We had already done the champagne popping in the fountain and the glitter shots, but they had one more surprise for me - confetti poppers! For this image, I chose to not use flash, something that is a little unusual for me during these senior sessions. The light was so beautiful that it was perfect and flash would have changed the mood while also creating some throwback shadows. With the outer brick walls and green crepe myrtles providing a distant backdrop, the entire focus of the image is on the group having fun. Love my college senior sessions and love the opportunity to work with these young ladies! 1/250; f/2.2; ISO 100; 85.0 mm.